For Bloggers and Webmaster, SEO is one of the most common term used everywhere. While a newbie might take time to adjust itself with the SEO, but the worth of SEO is always as big as the content itself. Search Engine Optimization is one of the most important subjects when it comes to people who are into website business. There are a variety of SEO tools, toolbar, pages available which will provide you with the result for a decent charge. But why to opt for those tools or toolbar when you have free SEO tools with all types of facilities. This article is especially written about SEO tools which are available for free in market. The tools are segregated based on the category to which they belong like Keyword Research, SEO Analysis, Backlink Investigation etc. BuiltWith information provider tracks over 147 million active websites and performs over 900 billion technology lookups each year, BuiltWith is the King of the web technology research field. It provides you with the result with the aggregation of very important data collection regarding the domain you enter. As soon as you enter the domain name you will be provided with a tab consisting of site technology information including website server information, detected analytics and tracking, widgets, blog publishing software, frameworks, audio, video & media, encoding, aggregation functionality and document information. Pingdom Full page test works on the mantra of “no one prefers waiting for anything”, hence it performs the test as soon you ping (click) the button and provides you with the result of “the loading speed of your website page”, it also helps you with the tips of how to load your page faster. Along with the loading time it provides you with other details of the page like size, and number of corresponding HTTP requests. Google PageSpeed is a free tool which analysis the content of a web page, then generates suggestions to make that page faster. You enter a URL, and then, the tool presents a list of performance-based suggestions which are categorized into high, medium, and low priority items. If any SEO related problems occur then it that case you can find the respective problems using the following SEO tools. Screaming Frog is a desktop program which finds the details from the web like websites’ links, images, CSS, script and apps from an SEO perspective. 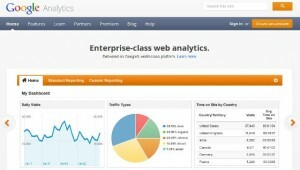 It allows you to quickly analyze, audit and review a site from an onsite. Xenu’s Link Sleuth checks Web sites for broken links. Link verification is performed on links, images, frames, plug-ins, backgrounds, local image maps, style sheets, scripts and java applets. It also displays an updated list of URLs which you can sort by using various criteria. Detects and reports redirected URLs etc. This link checker performs a validity check on the links for a given URL, reads an HTML or XHTML document or a CSS style sheet and extracts a list of anchors and links. It performs deeper checking like no anchor is defined twice, all the links are dereferenceable, warns about HTTP redirects, including directory redirects, checks recursively a part of a Web site. The page ranking factors can be fetched from the site’s content and markup. It is extremely important that you optimize the content and minimize errors in the markup. This tool can be named as ancient tool because this is one of the oldest tools available for SEO enquiry. The site acts as an interpreter, giving every user an opportunity to view a web page as a very basic search engine. The plain text version of a site define the making of a good experience and also gives great insight into the ease with which different content sections can be parsed out based on their phrasing and spacing. It allows even the newest webmaster to easily view a detailed and customized list of tasks to fix. Copyscape as the name defines is used for detecting plagiarism. Plagiarism is nothing but the copy/same content used at any other page of any other website. Therefore it detects the duplicate data used by anybody on the web. The procedure of using this tool is as follows you have to enter a page’s URL, and the tool returns a list of pages that are duplicating the URL’s content. This tool as name describes is a Markup validator which provides free service. It performs different validity checks of the Web document associated with a given URL in HTML, XHTML, SMIL, MathML, etc. It also performs validation on content such as RSS/Atom feeds, CSS stylesheets, MobileOK content, or to find broken links etc. Google AdWords is Google’s main advertising product and main source of revenue. It is one of the most popular tools which are at the Top count. It also performs Traffic estimation. It provides you with three options- word or phrase, category and website. Wordtracker is also one of the oldest tools available just like SEO browser. You just have to enter the keyword or phrase and press a button, you will be provided with the results the very next instant. This tool is very convenient to use. Ubersuggest is a keyword suggestion tool that uses Google Suggest to generate a list of related keywords. It is very simple and easy to use. The procedure for using this tool is as follows: You have enter the term or condition in the Query box available at the top. This tool is also called as LDA content optimizer. This is an online tool that analyzes a given URL’s content to identify relevant keywords, which are currently missing from the page. 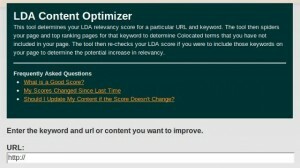 It finds the LDA relevancy score for a particular URL and keyword. 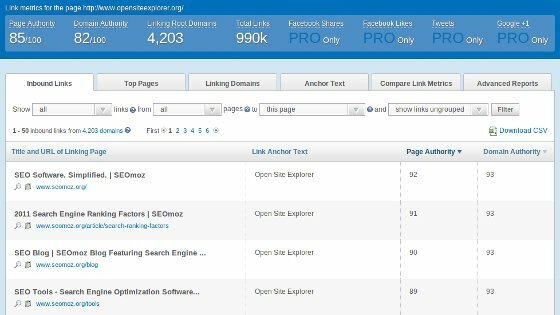 The tool then re-checks your LDA score if you were to include those keywords on your page to determine the potential increase in relevancy. Backlinks profile playes a vital role in your site’s ability to rank well in the search engines. The following tools provide the facility of backline investigation. Open Site Explorer (OSE) is one of the most popular backlink checking tool available today. It uses the freemium model, and without an account, you are limited to running 3 reports per day. You can register for free account and can have access to 1,000 Backlinks for a given URL, and the first 15 Backlinks include additional information such as the link’s anchor text, Page Authority, and Domain Authority. Majestic SEO has by far the largest index of its kind publicly available. It is another popular backlink checking tool, and like OSE, it uses a freemium model. It is incredibly fast and tens of thousands of users rely on Majestic SEO as their link data source of choice. Without an account, you are only able to access general summary information about a requested URL or domain. 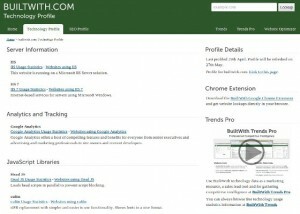 This is also one of the Backlinks checking tools. It is termed as “The best tool of the world for a SEO professional or company that has emerged in recent years”. Using this SEO tool you can perform 5 requests per day, and if you register for a free account, that allowance increases to 15 requests per day. Each request returns a Backlink overview as well as specific information about individual Backlinks. 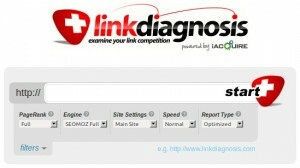 Link diagnosis is another free tool available, but you will be provided with limited view of the results until unless you install the Firefox extension. Without the Firefox extension, the tool displays the first 250 Backlinks, along with each back link’s anchor text, mozRank, Page Authority, and Domain Authority. Keyword plays an important role in search engine. It is always important to notice which keywords your competitors are targeting. The following free SEO tools can help you regarding keywords. This is one of the most competitive keyword analysis tool that provides free service. It is use to display tool information o the domain which you enter, along with the tool summary, it consist of domain’s daily PPC ad budget, the domain’s daily organic SEO traffic value, and a graph of the domain’s historical budget. It also has the capacity to show the top 10 keywords of the domain you entered. It is far beyond just keyword or domain statistics. SEMRush is into existence from a long time in the list of SEO tools. You can register for free and use the facilities provided by them. They perform search on competitive based and keyword based research. It is completely free and once you register in, you can get access to 10 reports per day. It also provides the user with various data and videos related to the tool’s functionality. Social web is becoming popular every night. It got linked with your website ranking too. Hence there exist tools which will display the socialization of your website. The following are the tools for your social status discovery. Shared count is an online service which provides you with the social metrics of your site. As the result of social metric it includes the Twitter (tweets), Facebook (likes, shares, and comments), Google+ (+1s), Digg (diggs), Pinterest (pins), LinkedIn (shares), Delicious (bookmarks), and StumbleUpon (stumbles). SocialMention as the name describes the website will describe the mentioning of your site in the social world. It is a free search engine and aggregates user generated content from 100+ social media sources. The sources are Facebook, FriendFeed, YouTube, Twitter, Digg, and Google. There exist tools to provide you with the news coverage or attract high quality writers to your site. This can help you built a better relationship with reporters, bloggers, and potential advertising partners and all these can be fetched for free by using the following tools. HARO provides you with the reports, sponsors and source details. Hence you can directly connect with expert sources, sponsors or reporters based on your requirement or situation. It is completely free to use. 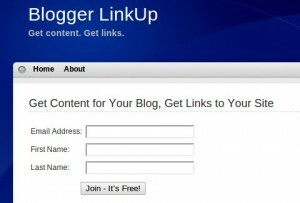 Blogger LinkUp allows you to request guest posts, sources for interviews, and product reviews from a community of users. It can be used when you want to get links and exposure by writing guest posts and so on. Once you register and join the free community, you will get email thrice every week which will list expert sources, requests for guest posts, bloggers and web masters offering guest posts, and PR reps.
MyBlogGuest as the name describe is site which helps bloggers to write and publish guest posts. Once you register yourself by creating an account, you will get introduced to community, search for sites looking for guest posts, and search for bloggers looking to write guest posts. It also provides a mechanism for performing search for specific categories, tags, or users. 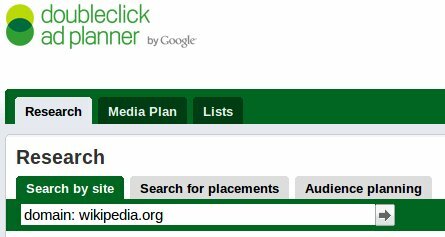 The DoubleClick Ad Planner is a free tool which plans your media strategy. This tool can be used to find websites that your audience is likely to visit so that you can use those sites for advertising, guest posts, or other outreach opportunities. It is necessary for any blogger to get detailed information on the status of the site regarding its visitors count and their views. Hence here are the tools which provide you with the details regarding the visitors. It is always good to consultant for a search engine as much as possible. The following free SEO tools will help you seek guidance from the search engines. 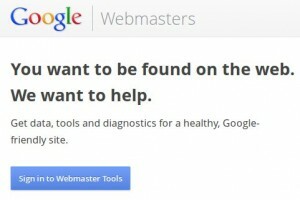 Google Webmaster tool is also very popular just like any other Google product. This webmaster gives you direct access to some of Google’s information about your site. The tool Understand and improve your site in Google Search, provides you with Videos and articles to help you get found on Google. It has 5 categories- Configuration, Health, Traffic, Optimization and Labs. Bing webmaster is also a great tool which allows you to view your site through the eyes of yet another search engine. It views crawl activity, index coverage, traffic stats, upload sitemaps, control our crawler, block URLs and perform optimized research. The term SEO analysis determines the analysis of the website which provides you with the site SEO score at the end of the Analysis. WooRank is a tool which ranks your website based on various criteria. Without a premium account, you are limited to generating only one free report per week. But you can still query reports that have been previously generated. Really ? 32 tools ?? we need one or two that works best and just does the job when it comes to SEO. More tools brings more complication 🙂 anyway nice research you have made to let the readers choose their favorite one. Quit a big list.. I have tried few of them and never heard about sites like Followerwonk, Blekko, Open site explorer, I will try them and let you know how it works for me, anyways thanks for sharing.